How did Timeless, Infinite Light start? Timeless, Infinite Light was founded in 2013 by Emji Spero and Joel Gregory. In part, the genesis of Timeless, Infinite Light is a story as old as small press publishing: we saw a gap in the record, urgent work by underrepresented authors or emerging authors or, yes, some work by friends and community members that wasn’t getting out there. After that, we moved further out from our immediate view into the broader network of poets and essayists and hybrid genre authors in Oakland and beyond. Tell us a bit about Timeless, Infinite Light. What are your influences, your aesthetic, your mission? Timeless, Infinite Light is an Oakland-based small press that publishes contemporary writing with a tendency toward the experimental, radical, and mystical. We are committed to promoting critical poetic work by emerging and established writers, and we prioritize authors whose identities are often excluded from the literary mainstream. We believe in the radical potential of collaborative, hybrid, and embodied writing, and promote work that resists structures of oppression, both in form and content. This preference for challenging work extends to the design and structure of the books we produce. Timeless has grown into having an editorial collective model. As such our influences vary but on the whole they reflect our context as a press that began in earnest in Oakland. Oakland’s radical history and radical present draws our focus towards politically engaged work. The Bay Area has also been home to literary movements like the New Narrative and San Francisco Renaissance, some of whose writers focused on queerness and the occult. We’re also influenced by being part of an intellectual and poetic geography that includes both academic influences, like the the MFA programs at Mills and CCA and SFSU and St. Mary’s that feed into non-academic spaces. These spaces include galleries and venues like ATA and 2nd Floor Gallery, literary orgs like SPT and SPD, reading series like Condensery, Woolsey Heights, Cantíl, and Manifest, the informal network of free school classes and reading groups in and around the Public School, and bookstores like Moe’s and E.M. Wolfman. 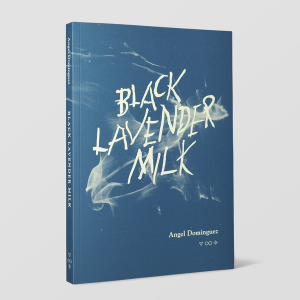 In terms of contemporary influences, we are very much aware of and in conversation with other local presses like Krupskaya, Commune Editions, and Kelsey Street, as well the abundance of zines and self-publishing projects from Amy Berkowitz’s Mondo Bummer to Nia King’s Queer and Trans Artists of Color: Stories of Some of Our Lives. 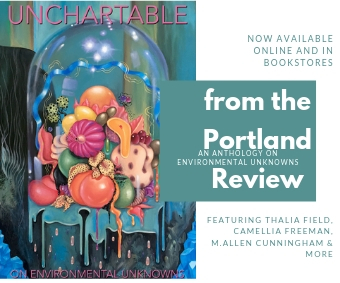 Of course, our literary world stretches beyond the Bay Area, and we’re interested in work being done by other presses like Nightboat, Ugly Duckling, Deep Vellum, Metropolarity, Ahsahta, Topside, Wave…the list goes on. Part of our project goes beyond publishing as such. We host many events each year and really put a lot into them, working with experimental video, drag, dance, and other forms. We’ve recently introduced a blog series called The S.L.o.T. (for the Second Law of Thermodynamics). Last year, we ran a writing and publishing workshop for younger writers. Since we can only publish a few books a year, these are ways for us to engage other artists and forms. 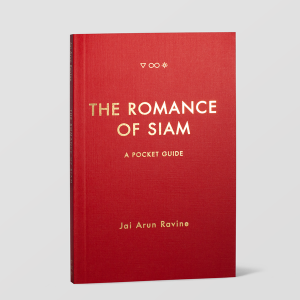 We’re very excited about our most recent title, The Romance of Siam, by Jai Arun Ravine. It’s a subverted travel guide that interrogates the desire white people have to lose and reinvent themselves in Thailand. Ravine tracks how this “white love” manifests in the tourism industry, popular American media and the western imaginary. Also, we also just reprinted our most popular title, Tender Points by Amy Berkowitz, for the third time! Tender Points is a feminist narrative fractured by trauma. Named after the diagnostic criteria for fibromyalgia, the text explores sexual violence, gendered illness, chronic pain, and patriarchy through the lenses of lived experience and pop culture (Twin Peaks, Teenage Mutant Ninja Turtles, noise music, etc.). Timeless also publishes a TRACT series, whose stated purpose is to create a home for hybrid and cross-genre work, lyric or embodied essays, writing that is deeply experimental in form, as well as site specific or urgent critical writing that needs to come out more quickly than standard publishing models allow. At the back of each TRACT, we include a section of FREE ADDITIONAL CONTENT that features excerpts from forthcoming books as well as new work by a visual artist. We recently ran our first TRACT Contest, judged by Brittany Billmeyer-Finn, Cheena Marie Lo, and Syd Staiti, and we were ecstatic to publish Gabriel Ojeda-Sague’s Oil and Candle, which traces imagined rituals, failed rituals, and magical objects of Santería in confronting issues of race, warfare, and the precarity of Latino lives. 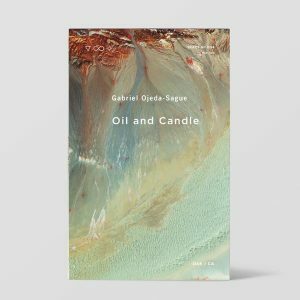 Oil and Candle is as much a confrontation of racism in poetry as it is a torch-song to cultures inherited and not necessarily lived. 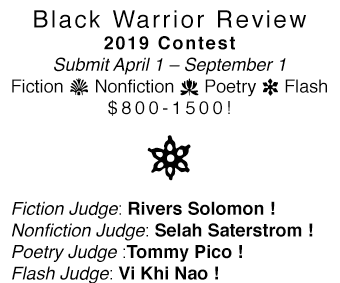 We are following on the success of our TRACT Contest with a Open Submission Contest for full-length manuscripts judged by celebrity poets Melissa Buzzeo, Mg Roberts, and Divya Victor. Our hope by having open-submission contests is to allow the press to reach beyond our immediate networks in order to find new (to us) voices and perspectives and help safeguard against the creep of coterie. From that perspective, the one thing we’re most excited about is to fulfill the fantasy of the “undiscovered” writer whose book gets picked up simply on the basis of its own brilliance, skyrocketing them into stardom. Basically, manifest destiny meets the bootstraps mythology. lol. Small press publishing continues to be where the action is with respect to the development of literature. It tends to be more a labor of love than a commercial venture, and this is a structural reason for the prevalence of aesthetic experimentation, uncompromising politics, and idiosyncratic vision among small press books. As big publishing continues to consolidate and the specter of Amazon looms over the entire industry, small presses are well-poised to push back since we are directly involved in entire process of publishing a book. Also, because our print-runs and audience are so small, we are therefore less vulnerable (theoretically!) to being coopted. We’re excited about the shifting and dissolving boundaries between genres right now. We’re thinking through the gay possibilities of PDF publishing and audiobooks, considering social media archives as literature—the list goes on. Small press culture seems to be in an overdue period of reflection and critique regarding its conditions of production. Aesthetic and political progressivism are no guarantee against white supremacy, misogyny, ableism, homophobia, and transphobia. We’re excited to be in a moment in which some publishers are struggling for real answers to the structural problems. How do you cope? There’s been a lot of conversation lately about charging reading fees, printing costs, rising book costs, who should pay for what, etc. Do you have any opinions on this, and would you be willing to share any insights about the numbers at Timeless, Infinite Light? We are continuously trying to answer this question. We are still only a few years old. As such, we are trying to reach a larger network of booksellers, educators, librarians, etc. We’re happy to be distributed by Small Press Distribution, which allows us some access to this larger network. We do small, high-quality runs of offset-printed books. It’s not cheap! But part of our credo is attention to the book-as-object, intimately connected to the text it holds. There are some benefits to offset versus POD: even though it carries larger costs up front, the per book cost is cheaper. In addition, some print on demand services are connected larger companies that have an actively destructive role to the health of small press economies. Part of our process has been akin to those of local independent bookstores, in that we are very much supported by and in conversation with our local community. There is a fierce argument going on right now about reading fees. For solicited work, we don’t charge a fee. We asked contributors to our first contest to purchase a book in order to participate. We are charging a fee for our second contest, but we have also made it very clear that no one will be turned away for lack of funds. I think that some of the arguments around fees reflect the lack of public funding available to publishers. This lack of support, paired with the constant pressure of existing under capitalism, mean that presses are pressured into: becoming more commercial, structuring as a non-profit organization, or relying heavily on private donors, or some permutation of these. 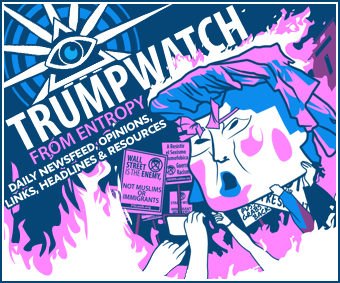 In addition to these, there is a constant tinkering that goes on, an effort to match print runs to anticipated demand, or experimentation with reading fees, subscription models, sales, and bringing in interns or volunteers. One key consideration is balancing the capacity of our tiny staff and budget against the number of powerful manuscripts that come our way. After our first two years, as we learned more about publishing, we stepped up the number of manuscripts we published. This may not be a permanent change. It does raise questions about our goals as a press, like: how much do we want to grow? Do we want a larger staff and a longer list? Do we stay small and really lavish our attention on just a few books per year? These are probably questions we’ll keep asking ourselves until the Timeless Infinite Glittership returns from the IOK-1 galaxy to take us home.